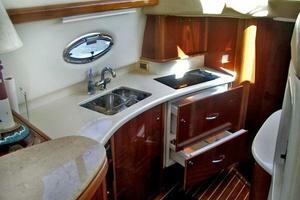 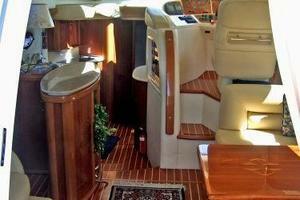 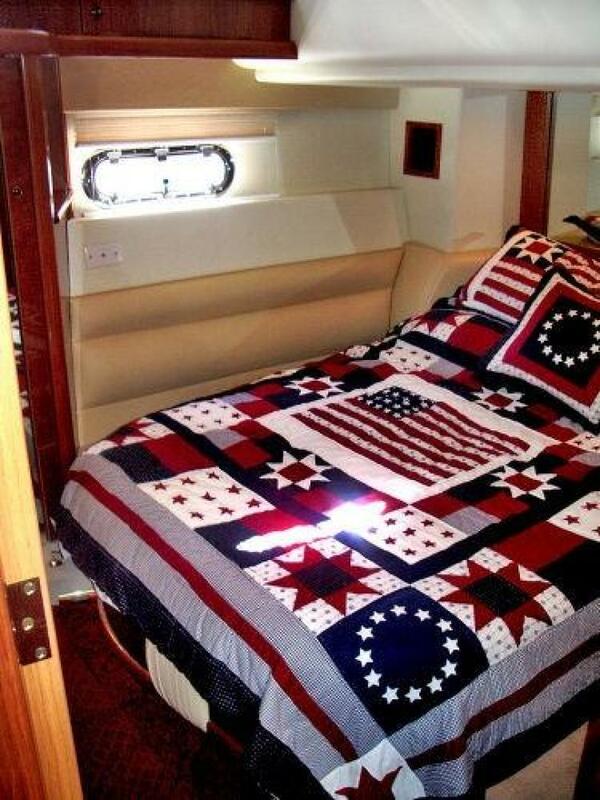 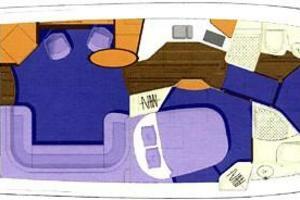 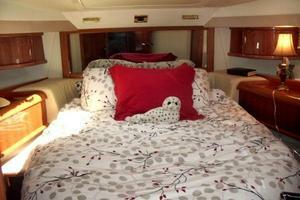 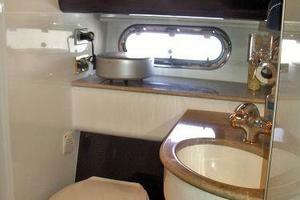 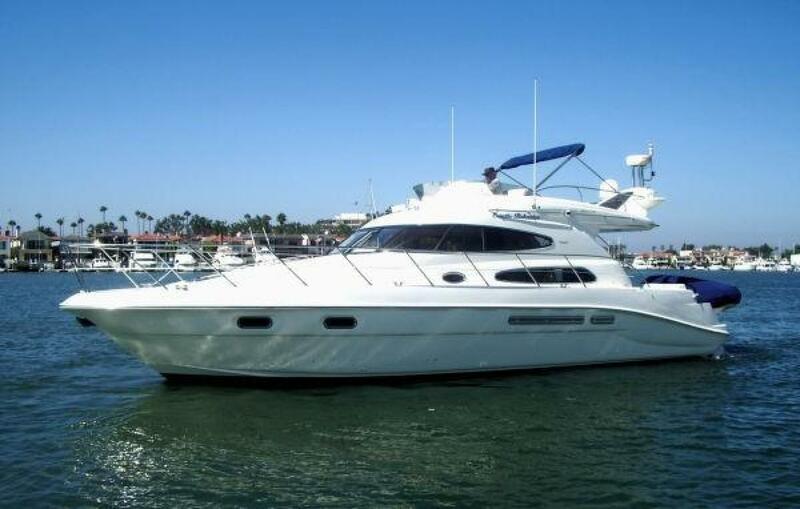 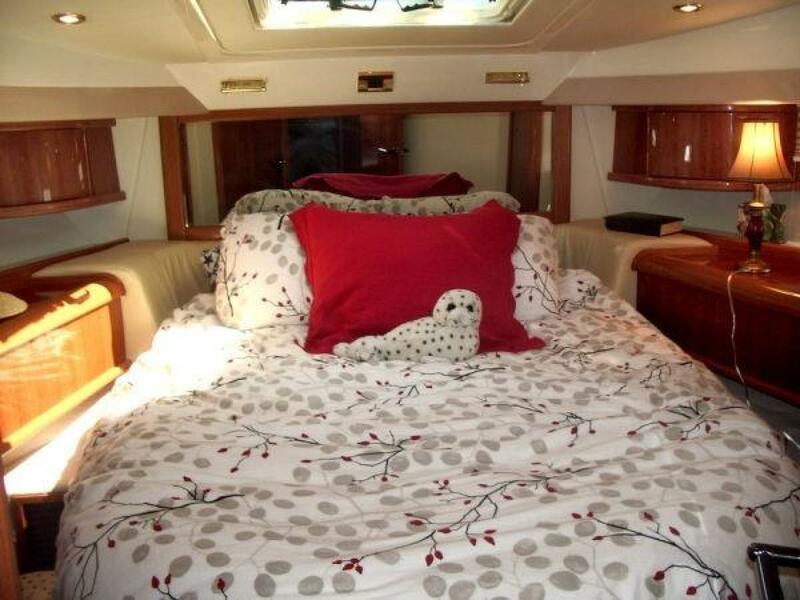 This 47' Sealine features 2 comfortable en suite cabins finished with high gloss cherry wood joinery. 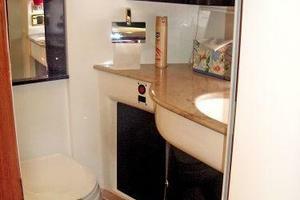 The en suite heads have stall showers and natural marble countertops. 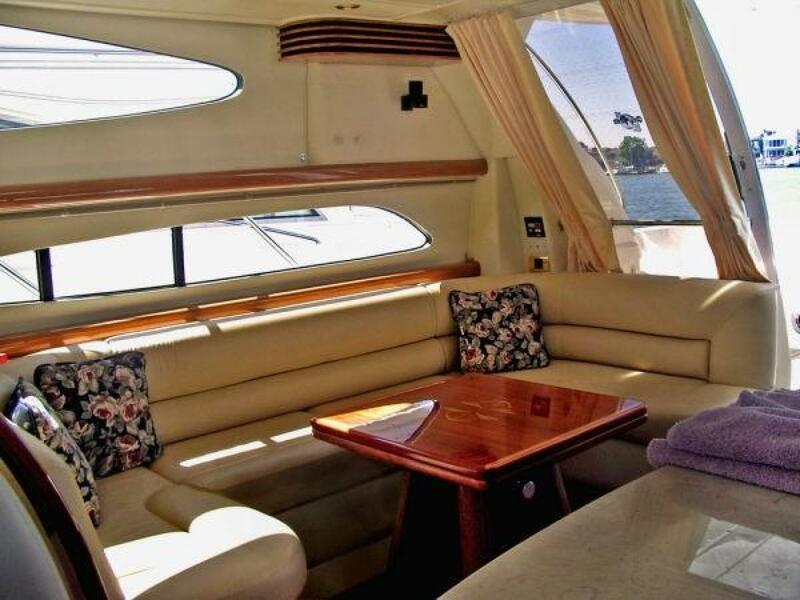 The salon offers a marble-topped island bar, a large folding dining table, club chairs, and a leather upholstered settee which converts, with one-touch, to a third double berth. 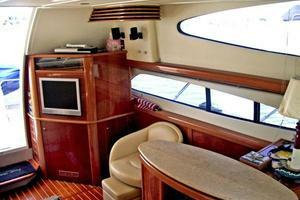 An entertainment center houses a TV/DVD and surround sound system. 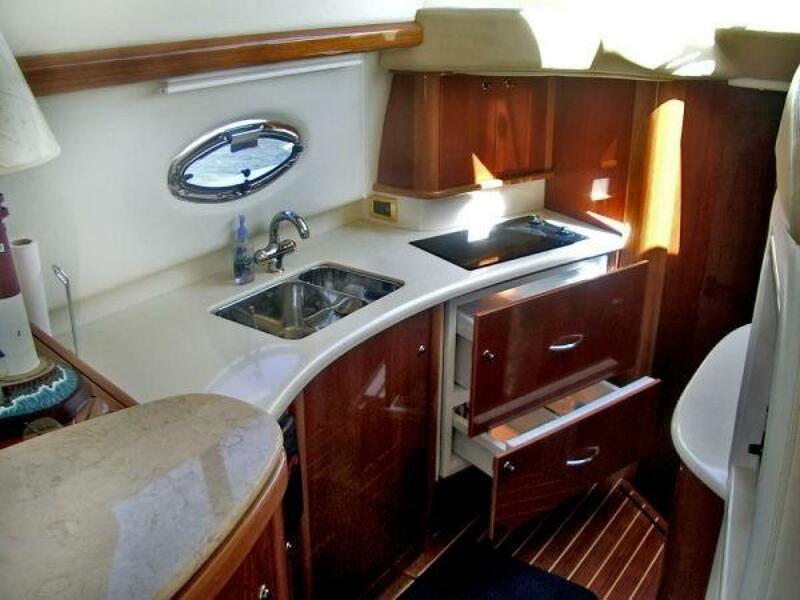 There is an all-electric galley with marble surfaces that provides unprecedented storage with a large below-floor modular drawer system. 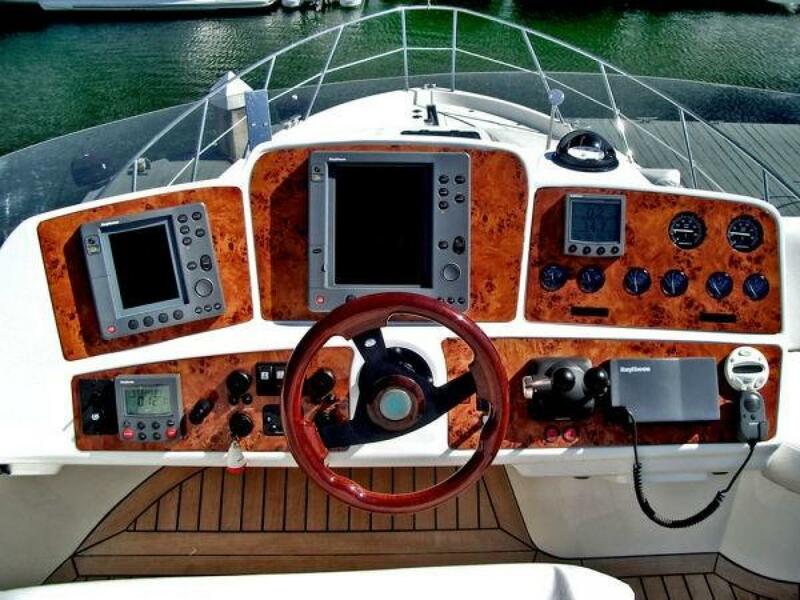 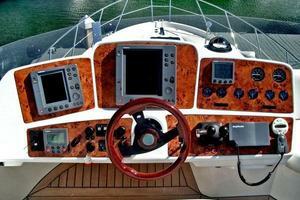 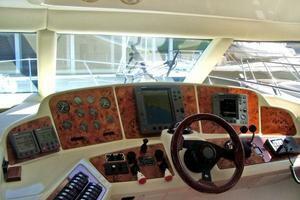 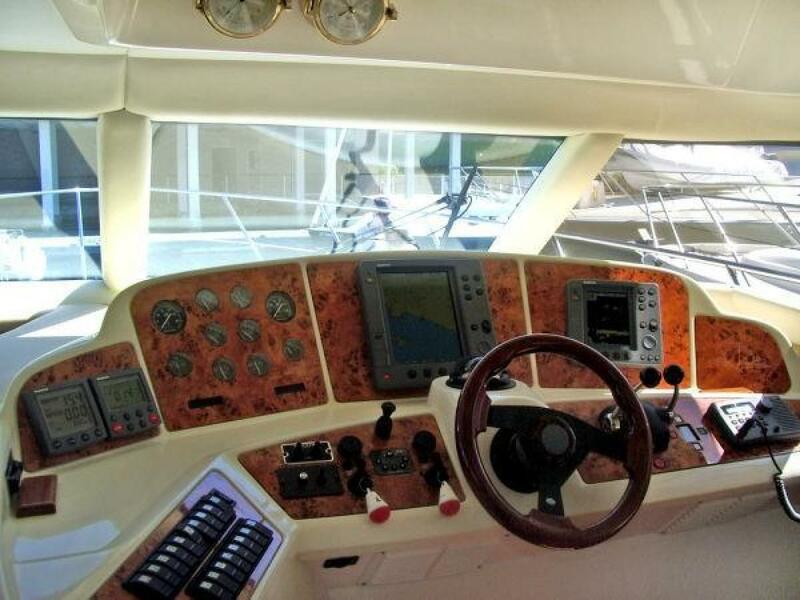 The two helm stations are equipped with an ergonomic layout of instruments and Raymarine electronics. 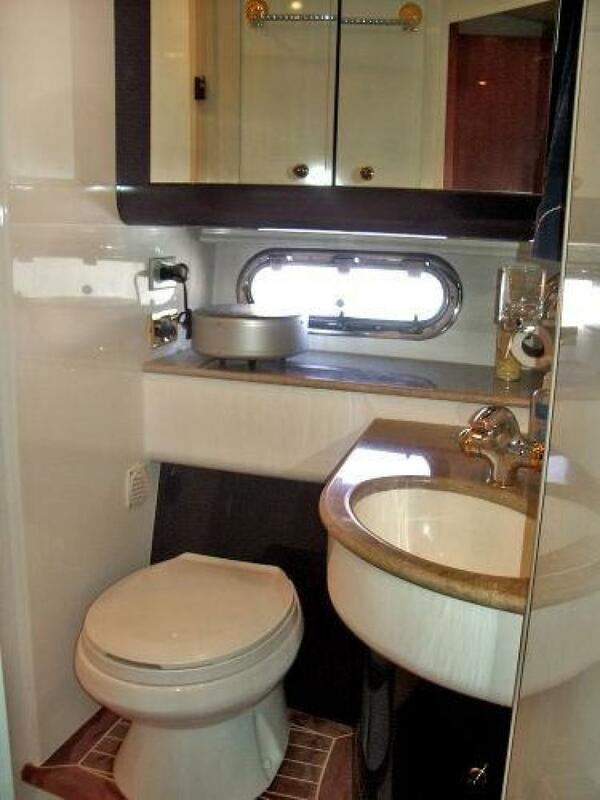 A cockpit seating hatch provides stairway access to the single-berth cockpit cabin that provides an additional guest cabin or crew accommodations. 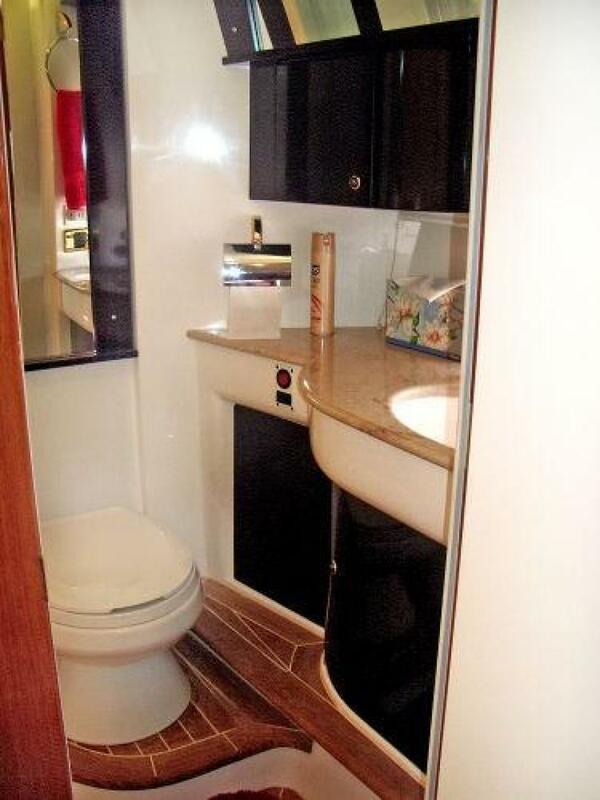 There is a laundry with washer and dryer, generator, and walk-through access to the engine room - where fuel, water filters, and seacocks are clustered for easy checking and maintenance. 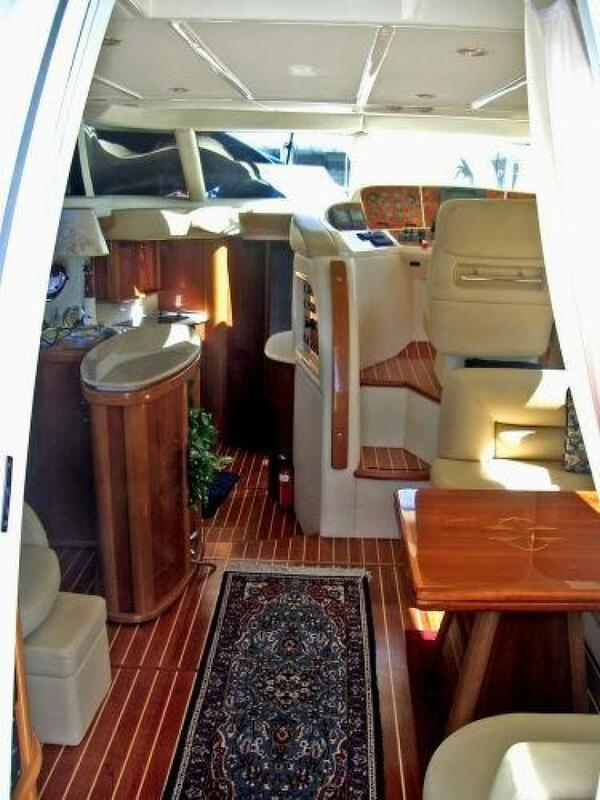 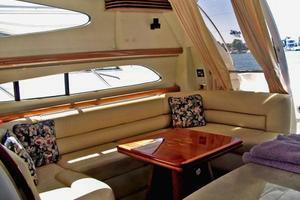 For lovers of the great outdoors, the spacious teak-laid cockpit and flybridge feature a wetbar with BBQ and fridge.